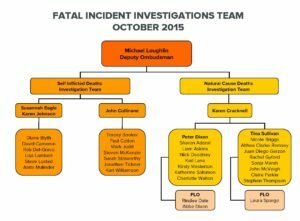 The Fatal Incidents Team investigates all deaths in custody including natural cause deaths, self-inflicted deaths, homicides and accidental deaths. While not all deaths are preventable, those who die while in the care of the state must be treated with dignity and humanity, and their families and friends must be assured they were given proper support and care, equal to that they could have expected in the community. The Fatal Incidents Team also ensures the organisations within our remit – the National Offender Management Service, the Ministry of Justice and Home Office Immigration Enforcement – learn lessons from deaths that occur in custody. people in court premises or accommodation who have been sentenced to or remanded in custody. The Ombudsman can also investigate the death of someone who has recently been released from the custody of the above establishments if he feels there is particular lessons to be learned. We begin the investigation on notification of a death from the relevant organisation, and decide on the extent of the investigation depending on the circumstances of the death. The remit of the investigation includes all relevant matters for which NOMS, Home office Immigration Enforcement and the Youth Justice Board are responsible (except for Secure Children’s Homes in the case of the YJB), or would be responsible if not contracted elsewhere. It therefore includes services commissioned from outside the public sector. 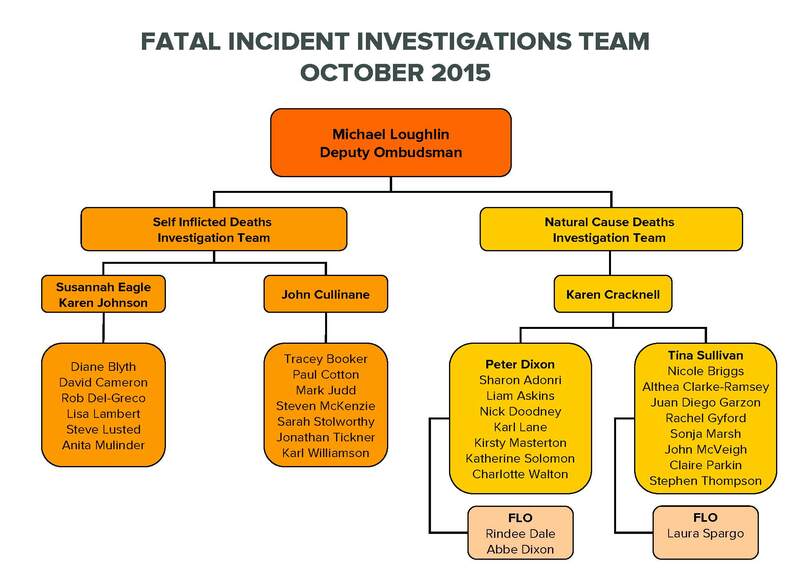 See How we investigate fatal incidents for more detail on our investigation stages.